When life throws us big stuffs beyond our abilities, it’s easy to trust God as there is no other option other than to pray and ask for deliverance, but do we trust God the same way for small things? Do we pray for things even when it’s possible by our efforts and abilities? Today I want to exhort you to trust God and obey God, even for the smallest of the small things the same way, how we trust God for impossible things, for He honors and answers all our prayers. If we are willing to trust God in both small and big things and make a God first life rather to- Me decide and do life-, God will honor your efforts and you can see the hands of supernatural in amazing ways throughout your life! Trust God, walk in His way and obey His commandments no matter what, He who sees from heaven will honor your simple or complicated prayers no matter how lame or ridiculous it sounds! In Isaiah 55:7,8 we read ““For my thoughts are not your thoughts, neither are your ways my ways,” declares the Lord. “As the heavens are higher than the earth, so are my ways higher than your ways and my thoughts than your thoughts.” Isaiah 55:8-9 NIV. God is amazing and He can use anything or nothing to perform a miracle. Today I want to focus certain instances, in the Bible where God’s plan seemed ridiculous and unbelievable, but when those who were told to obeyed it in turn did mighty things! A God who honors your little effort and honors your commitment and does infinitely more for your benefit! We all know the exodus of Israel from the slavery of Egypt, which took place somewhere in 2500 BC. 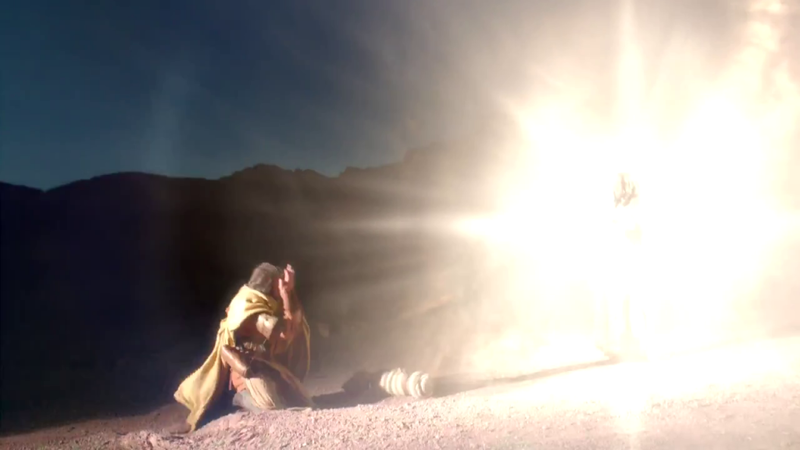 God used one man Moses as their deliverer. Moses was grown at the palace as Pharaoh’s daughter’s son or simply as Prince and he had the heart to set his people free. He must have thought of freeing them by using his power, skills and influence as Prince for we see, he killed an Egyptian slave master for hitting Israelites- his own brethren- however, it doesn’t work as planned in the end, he ended up running for his own life into the wild desert. There he felt terrible and must have definitely thought of his foolish acts and how sadly he dug his own grave! Later the Prince became a shepherd and was taking care of his father-in-law’s sheep. And when he thought all came to an end God appears to him in a fiery bush and asks him to go back to Egypt to set his people free and lead them to the promise land Canon! And Moses can’t trust God even though God himself appeared before him and God asks him to drop his stick which he was holding in his hand and it turned into a serpent! And God asks him to do the same in Egypt and he sets forth and obey God and do exactly as how God told him and he performs the miracles and sets the Israelites free after the long slavery of 450 years. 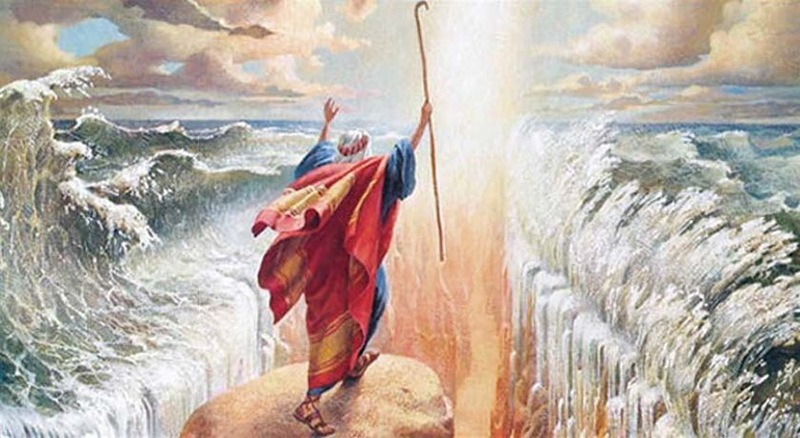 Imagine if Moses said no to that opportunity we he would have lost the chance of becoming the greatest leader ever lived! A stick becomes a serpent? Wow a non living thing becoming a living thing! And it doesn’t end there, but this serpent swallows all other serpents made by the witchcrafts and magicians! Now they are heading towards the Red Sea and they came to a place where they are surrounded by two huge mountains on the sides, the Red Sea in the front and Pharaoh and his army chasing from behind to kill and capture them back into slavery and the huge crowd of at least 4million people cry out to Moses and Moses have no option but he looked to heaven and cried out before God and God asks him why are you crying to me? What have you got in your hand and he replies a stick and God asks him to stretch his hand towards the sea! It seems the most ridiculous thing to ask, but when he obeys an amazing thing which never ever took place, begins to happen! The sea splits into two forming a huge dry path through the sea and God asks the Israelites to cross the sea and everyone crosses the sea safely and as the Pharaoh sees the way in the sea, he asks hi his soldiers to chase them through the sea and they follow the lead and God asks Moses to stretch his hand again and as he obeys the sea becomes one as before, killing the Pharaoh the mighty army and their slave masters! One act of obedience saved the day! miracle! 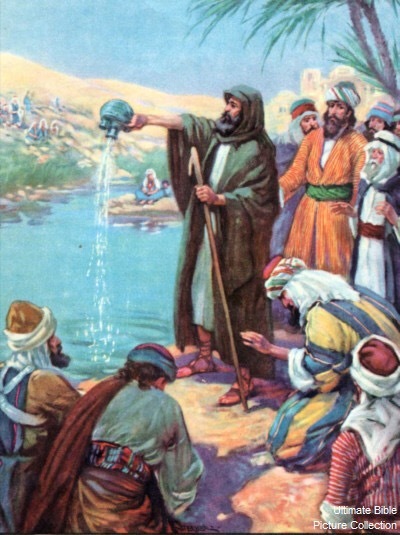 Later, when they reached Marah they couldn’t drink the water from it as the water was very bitter to taste and the people cried out to Moses for water and Moses in turn cried to God and God showed him a tree and asked him to cut a branch and put it in the water and when he obeyed the water becomes sweet! Imagine how many millions of gallons of water is there in that water front and what is the size of the branch compared to the amount of water in the river! It says the tree wasn’t far away from the water so haven’t any of the branches ever fell into the river anytime earlier? It definitely would have, but God wanted to show he was able to perform the miracle from the same source you have tried many times before and failed! When you trust in God and do even the most ridiculous command He will honor the act of obedience and no matter how many times you have tried before and failed, He makes it achievable! 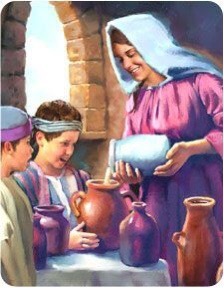 When we come to the book of 2 Kings we see a similar experience where Prophet Elisha goes to the city of Jericho and people there complains to him about the water and he asks them to bring salt in a new plate and they do so and he sprinkles the salt into the water and the water becomes sweet! Imagine the logic behind it! Does it even comprehend our mind? What’s the salt to such huge amount of water, but when Elisha determined to obey God, He worked out beautifully. Sometimes God’s plan that appears ridiculous. But if you are ready to obey, you will see the work of His mighty hands. 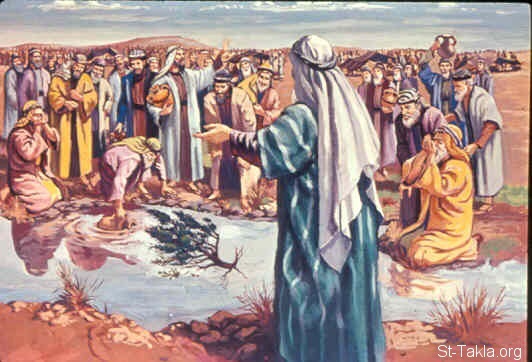 The disciples of Elisha requested Elisha to join them to forest to get timber for the expansion of their dormitory as the place have become congested and he agrees and goes with them and while one of them was cutting the tree with axe the axe falls into the river and they say that to Elisha and he throws a stick in that place and the iron axe floats!!! What a miracle iron floats on water? Again, is there some magnetic property on the stick to bring up the iron axe? No! But when you obey God no matter how ridiculous the plan sounds, you will see the miracle of God! Again the widow who was so much drowned in debt came and asks Prophet Elisha for a way out of her debts, as the people are about to catch her children and make them slaves, Elisha asks what else she have in the house and she replies a jar of oil and he asks her to get as many jars as possible and she obeys the prophets words and collects as many jars as she can then start pouring the oil from her jar to each one and it kept filling every other jar until all other jars got completely filled and when all the jars were full the oil stopped flowing and she sold the oil and paid all her debts and with the rest she made her living. Here God made the problem – the debt- be a solution for her future by obtaining money by selling the oil! The Army General of Aram suffered from leprosy, was told about Elisha, who could heal him and came to visit Elisha and he expected Elisha to come and lay his hands on his head and pray for him instead Elisha didn’t even come to meet him, but, asked him to dip himself 7 times in the river of Jordan and he became very angry for asking him to do so. But his servants persuaded him to do so and when he obeyed his leprosy was completely healed and got new skin as of a new born baby! Imagine what would have happened if he wouldn’t have obeyed! The small act of obedience no matter how ridiculous it sounds often lies as an answer for the huge problem what you’re facing in life! Simon Peter the fisherman gave his boat to Jesus to deliver His sermon to the followers and after Jesus finished His sermon, He asked Peter to move the boat to the deep sea and cast out the net for catching fish and he replied “Lord, we worked the whole night and didn’t even catch a single fish. 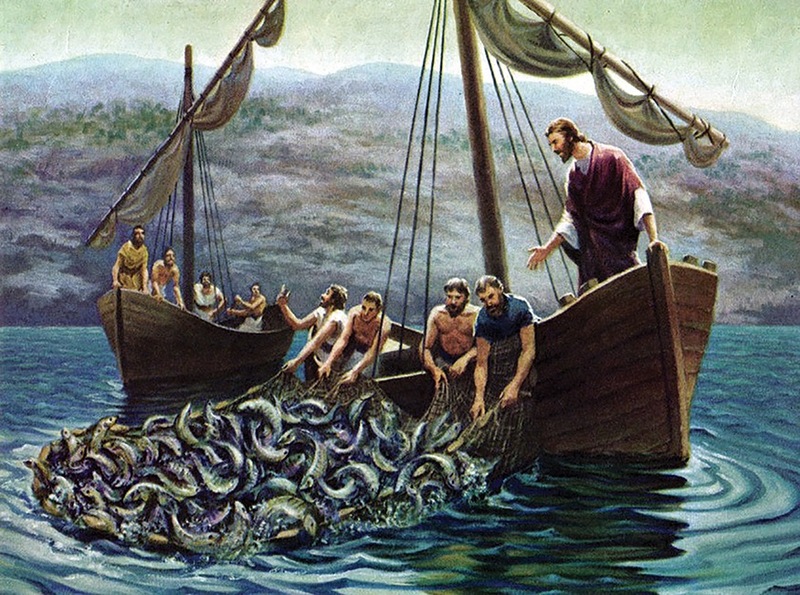 But, I will obey you” and when he did so God honored his act of obedience and caught the biggest catch ever! He could have told Jesus, what do you know about fishing? True, you could give a sermon and all, but fishing is different! Instead, Peter obeyed and got the biggest catch ever! Saul, who later became Apostle Paul had an encounter with Jesus at the gate of Damascus and he went blind. He didn’t know what happened, but understood it was because of his attacks against the followers of Jesus and he understood Jesus is the true God, but he didn’t know anything more and what to be done next, but he obeyed the words of Jesus as he was told to go in the city and wait there not knowing what lies ahead he obeyed the voice and waited in the city meanwhile God appears to Ananias and asked him to go to Saul’s house and pray for Saul! 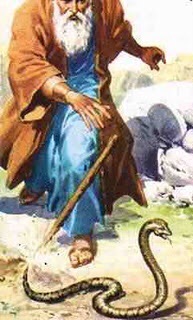 He was astonished at that command from God, for he knew who exactly Saul was and why he is coming to Damascus, but he obeys God’s command rather to his personal security and risks his life and meets Saul and prays for him and Saul receives his sight back which leads to Saul’s convention of being a zealous Pharisee to Apostle Paul! Saul, who later became Apostle Paul had an encounter with Jesus at the gate of Damascus and he went blind. He didn’t know what happened, but understood it was because of his attacks against the followers of Jesus and he understood Jesus is the true God, but he didn’t know anything more and what to be done next, but he obeyed the words of Jesus as he was told to go in the city and wait there not knowing what lies ahead he obeyed the voice and waited in the city meanwhile God appears to Ananias and asked him to go to Saul’s house and pray for Saul! 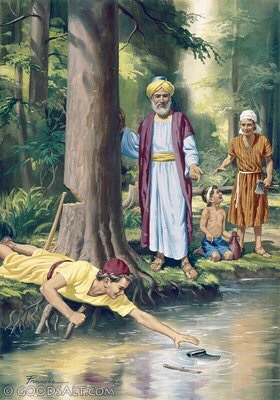 He was astonished at that command from God, for he knew who exactly Saul was and why he is coming to Damascus, but he obeys God’s command rather to his personal security and risks his life and meets Saul and prays for him and Saul receives his sight back which leads to Saul’s convention of being a zealous Pharisee to Apostle Paul! Imagine if Ananias would have denied to present himself before Saul and pray for him, Apostle Paul might have never emerged! Imagine all the basic doctrines of Christianity wouldn’t even come out as how it is today in the Bible! Little did Ananias knew what implications his act of obedience had! But, the most important of all these is the salvation through Jesus Christ! 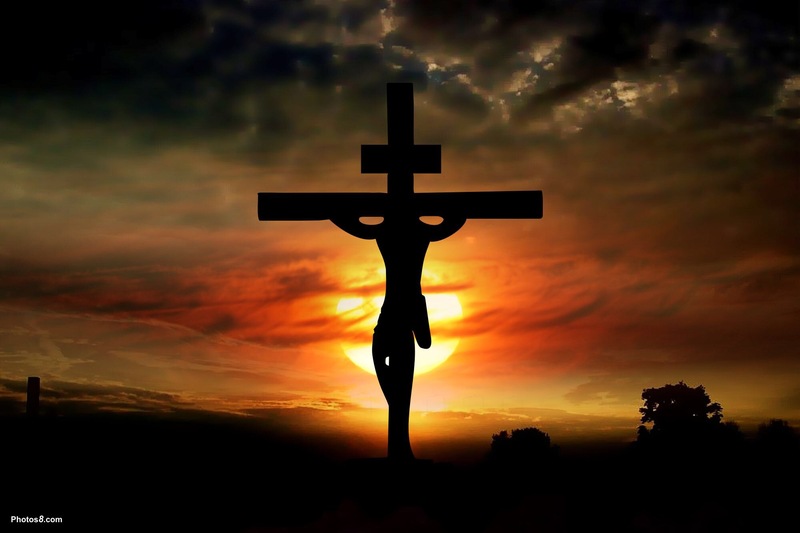 God who was in high heavens came down as man for the salvation of mankind and gave himself completely on the Cross of Calvary and died himself on the treacherous cross by giving His very last drop of blood and water in His body and set us free, for those who believe in Him from heart and confess their sins and lead a holy life will become the Child of God! What an amazing Grace and what a great privilege! 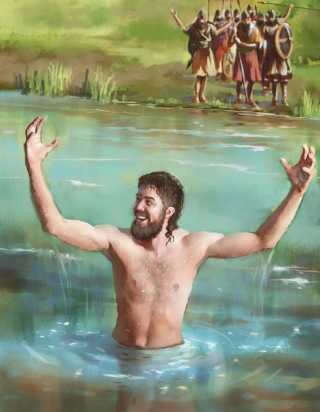 When men look for anything and everything for salvation, Jesus had made the salvation absolutely free! This list is not ending here, but there are instances after instances throughout the Bible. The miracles what it took place were always huge and amazing, but the reason behind those miracles were not as big as the miracle, but some ridiculously odd commands from God and when they simply obeyed God no matter how ridiculous it sounded God did what he promised and much more than he Promised. Are you willing to obey God no matter how ridiculous it sounds? Are you willing to trust and put God first in both big and small things you face in life? Then you will see the Supernatural hand of God acting daily in your life! What if you don’t know what to ask? You don’t have to ask anything, but say all ur needs with thanksgiving and prayer and God will give you a divine peace inside you. Am not bluffing, but it’s real, it’s true! Pray until u get the peace. You may not hear any answer straight away, but once get the peace, you don’t have to worry for you can see whatever that is troubling you getting over by itself without even any action from your end. It’s my life experience. Such a great reminder that God hears and knows our every need. The greatest thing is to just wait for His answer and then trust that answer. His peace is amazing when we allow it to envelope our lives. Thanks for sharing.